When storm damage took a toll on this home, we were able to assist the homeowner in replacing the full roof with their insurance company. If your home takes a beating from the weather, count on Stan's to help you quickly and effectively repair or replace the roof. Missing and damaged shingles can cause your roof to leak as well as to create damage to the underlayment and wood decking under them. Our crew replaced and nailed down all missing and loose shingles for this homeowner, bringing their roof back up to par! This home received Certainteed house wrap around all the newly installed Revere "Sliders"windows. Also new gutters and downspouts, Soffit and fascia, and horizontal siding. There is a piece of siding that blew of from underneath the roof. It is currently exposing wood. Front fascia and soffit broke during high winds. Window and patio door replacement. Need a repair primarily on one peek. I would also like a quote to replace the the rest of the siding as well. Needing gutter and fascia repair on house and garage. I would like to arrange for someone to come out for an estimate. Thank you. Dented relatively new gutter over garage by backing uhaul truck into it need that section repaired or replaced. 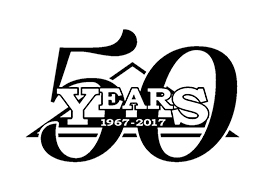 "These gentlemen cared about how the work was done and that..."
"I saw a Facebook ad and took a chance - it was a great..."
Stan's Roofing & Siding has served the residents of Romeoville since 1967 with a wide range of roofing and siding services. Our employees are professionally trained and capable of installing or repairing your roof or siding quickly and efficiently. Transporting a gutter of this size would create "dings" in the aluminum and cause it much damage. We have roof leak. It appears to be a valley issue. Water damage on second floor ceiling and window. We have a new water stain on ceiling. We would like a roof inspection to figure out if the roof needs to be repaired for leakage after a heavy storm. Thanks! My 1st floor ceiling is leaking (dripping) at times at the seam of the wall. I live in a 2 story townhouse, and it's the inside wall that connects to Neighbor's garage. I have some water damage on the back part of my roof. It has caused my gutter to sag down. I would need a quote on fixing that. Original Roof (home built 1997, 1370 sq ft, shingles) has begun leaking on the first floor towards the outer edges. Shingles appear to be warped and crumble easily, and I fear that there may be plywood that requires replacement among other things. My wife and I are looking for an honest estimate. Thank you.